Labranda Aloe Club Resort is a 3-star all-inclusive property located in Corralejo, just 500m from the beach, about five minutes’ walk away. Offering gorgeous sea views and all-inclusive amenities, this hotel offers family friendly apartments centred around a series of swimming pools. The Corralejo National Park is in a close proximity providing the much needed natural recluse for guests seeking peace and tranquillity. Featuring a 24-hour reception, this hotel can arrange bike/car rentals and ensure that guests have an amazing time during their holidays to Corralejo. Excellent guest amenities and warm hospitality gives guests the feeling of staying in a home away from home. 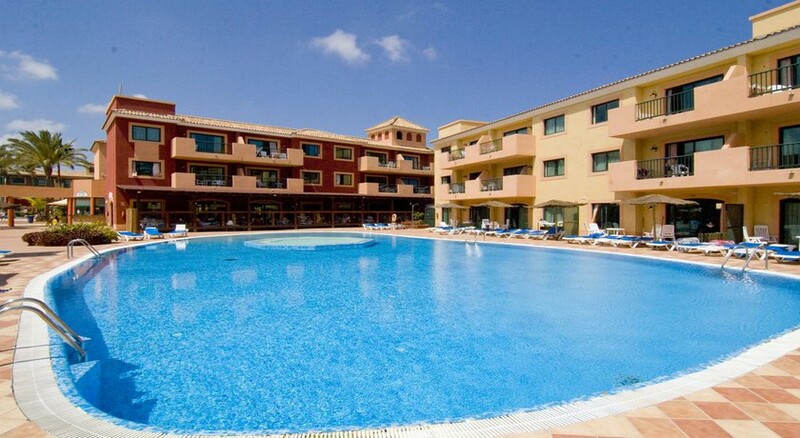 Labranda Aloe Club Resort is located near the white sand beach in sunny Corralejo, Fuerteventura. The Corralejo National Park is next door, about 8km away. The beautiful islands of Lobos and Lanzarote are a short hop away by boat. The Fuerteventura Airport is about 40km from the property. 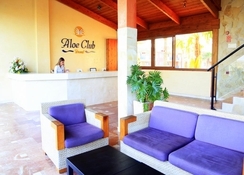 Labranda Aloe Club Resort has 180 well-furnished guestrooms and apartments. All air conditioned units come with a living room and bedroom and are equipped with fridge, free Wi-Fi, safety deposit box (extra charge), LCD satellite TV, shower or bathtub and hair dryer. Labranda Aloe ClubResort has a buffet restaurant Traviata serving that serves breakfast, lunch and dinner. The menu is Spanish but with different theme nights. There is also the a la carte Ristorante Trattoria Brezza offering delicious Italian dishes including live counters for pasta and pizzas. Guests can relax with a chilled drink by the poolside Las Dunas bar. There is another Vitaminico Bar offering health drinks and fruit smoothies. The hotel also has an all-inclusive program that covers all meals, beverages and snacks plus drinks (conditions apply). The nearby Corralejo beach with fine white sands, turquoise clear waters and exciting water sports is a huge draw for guests. Labranda Aloe Club Resort also has four adult swimming pools as well as three pools for children. There is a mini club for the tiny tots and large number of activities on offer include archery, beach volley darts, water polo, French boules, football, pool table, table tennis, water aerobics, ball, workshops, stretching, rifle shooting, Zumba dance lessons and more. There are lively shows hosted by the animation team. This was my wife and myself,s forth visit to aloe Club it’s a super hotel, the food is second to none, the rooms are spacious, a maximum 2 stories high.Childrens play area includes football and volleyball courts, pool bar a superb addition over the last 12 months looking forward to our fifth visit, highly recommended. A lovely hotel great facilities food and very friendly helpful staff. Large and nice resort with specious rooms close to the beach, city center and amendities. Very nice and helpful staff, fresh food unfortunately testless. No table tennis available, salty water in swimming pools. Enjoyed a 2 week break in march. Staff very friendly and attentive. Food varied and of good quality. The only let down is the evening entertainment area. Dark, dim and lacking atmosphere.